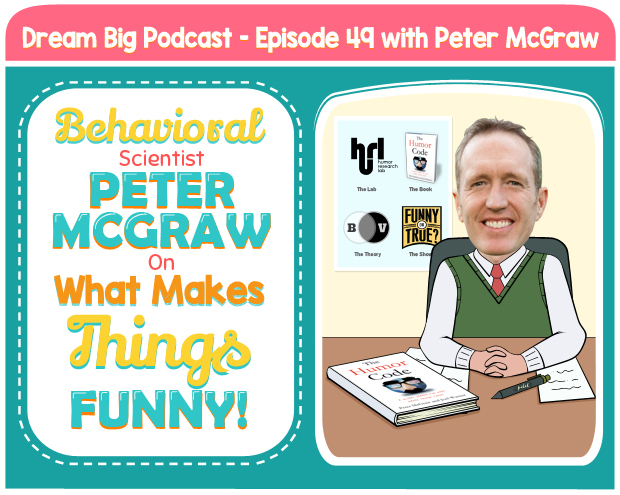 DB 049: Behavioral Scientist Peter McGraw On What Makes Things Funny! In today’s episode, Eva and Olga welcome Peter McGraw, a professor at the University of Colorado Boulder, founder of the Humor Research Lab (HuRL), and co-author of The Humor Code: A Global Search for What Makes Things Funny. We love to laugh at the Karpman household, so it was really interesting to learn the science behind humor. And for those of our Big Dreamers who get occasional visits from the tickle monster, we loved learning why we laugh uncontrollably when a family member tickles us under our neck but if you tickle the same spot on your own it is not ticklish at all! This was just a fun, lighthearted discussion with Peter that we enjoyed, and we know you will too! Peter explains the scientific reasons behind how just a few seconds of laughter can change your overall mood. Peter and Eva share some funny jokes. Peter explains how animals can have a sense of humor. Peter shares the science behind tickling – why it’s ticklish when someone else tickles you, and not ticklish at all when you do it yourself. Why Peter started his research on human and animal humor. The reason why you find one thing funny, and and another thing not so funny. Peter’s BIG DREAM for the future. Peter’s best advice to his 10-year old self. THANK YOU TO OUR FIRST SPONSOR, KIND SNACKS. This week we are excited to introduce the first sponsor of the Dream Big Podcast, KIND snacks. 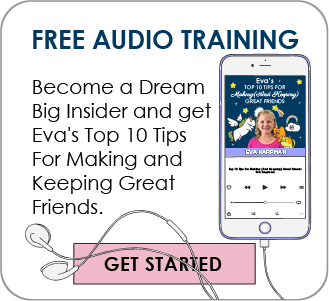 There is a ton of work and expense that goes into creating and producing a professional podcast, and adding sponsors allows us to subsidize those costs. 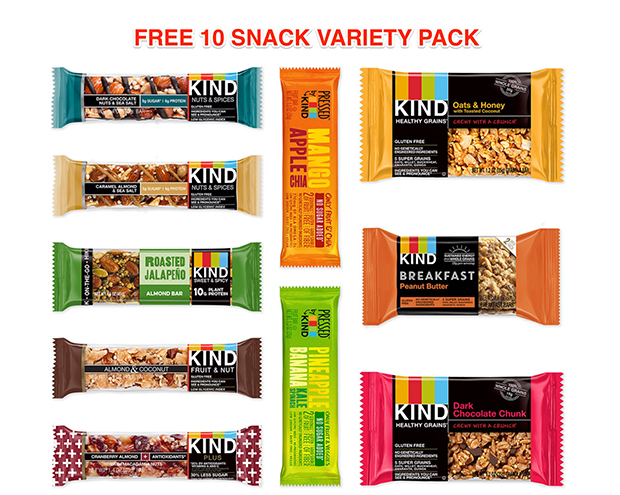 You can support our show and take advantage of an amazing deal for 10 FREE KIND snack bars. You just pay shipping and handling. Please note that this deal is for those who sign up for their monthly snack service, but you can cancel that service at anytime (including after you receive your free sample box). We are huge fans of KIND snacks as they are delicious AND healthy, so we thought it was a perfect fit for our show. To claim your free sample box, go to KindSnacks.com/dream Enjoy!